The world of Formula One racing is rife with legal struggles and lawsuits. Most of these have to do with the money end of the series, from licensing to logo disputes. Many of these are settled out of court and are not criminal cases where anyone was in danger of going to jail. Unfortunately, there have been some legal cases that involve not only drivers for Formula 1 but also possible jail time. The downfall of these racers starts from their not being in one of the elite car racing series in the whole world, and can end with them becoming possible jailbirds. Here are the stories of four former drivers who fell from grace after or while driving in the FIA Formula One series. Jyrki Juhani Jarvilehto, better known as JJ Lehto was a Formula One racer beginning in 1989. The Onyx team had financial difficulties and had to fold, but the talented Lehto found a ride with Scuderia Italia where he stayed on through the 1992 season. After 1993 he bounced around a bit and was in an accident that injured his neck and forced him to sit out a few races. He returned only to be in another accident at the 1994 San Marino Grand Prix where two fellow drivers were killed. He soon was replaced in the driver’s seat and quit Formula One. He had success in other series; winning the 24 hours of Le Mans race twice. On June 17, 2010 Lehto was in a boating accident in Raasepori, southern Finland that killed the passenger, a close friend of his. The boat was going almost 75 mph in a zone under a bridge where the limit was just 10 mph. Lehto was intoxicated at the time and charged with negligent homicide, reckless driving and driving under the influence. On December 11, 2011 he was sentenced to 28 months in jail but plans to appeal his conviction. After toiling in Formula 3 and Formula 3000 series’, Bertrand Gachot moved to the elite Formula 1 series. After a promising start he made remarks in the press that his team boss didn’t like. Soon after he was with a different team but was soon facing jail time for an off-track crime. In 1991 he was convicted of spraying gas on a London cab driver, an offense that netted him two months in jail. After serving the two months he returned to Formula One but never regained the promise he showed as a rookie driver. He bounced around from team to team with little to no success and eventually retired as a driver. Today Gachot has managed to stay out of further trouble and now is on the business side of racing. He owns an F1 website and markets an energy drink called “Hype” among other business pursuits. Though he no longer drives he is still a name in the Formula One world and still has friends and business contacts in the series. Johann Verstsappen, better known as Jos Verstappen or “Jos the Boss” raced in the Formula One series starting in 1994. He was a very talented driver who worked his way up the circuit and went on to become the most successful Dutch driver to ever race in the series. Despite the accolades and success in racing, Verstsappen had a dark side. Through his career he was plagued with several accusations of assault. The details for some of them were kept private while others were very much public and turned messy for the driver and his family. The earliest assault accusations came in 2000; Verstsappen and his father settled out of court for a reduced sentence. The accuser in the case suffered a fractured skull at a karting track two years earlier, a crime for which both the son and his father each received suspended five year sentences as a part of the deal they struck with the victim and prosecutors. In December 2008, he was accused of assaulting his then-wife Sophie Kumpen but he was not convicted. He was, however found guilty of violating a restraining order Kumpen had against him and of threatening her via text message. He was given a suspended 3 month sentence and paid a fine. In January 2012, he was arrested for the attempted murder of his ex-girlfriend. Two weeks later the charges were dropped so Verstsappen escaped further jail time. Despite all of these messy legal problems, he served no hard time beyond his initial arrests. He also didn’t lose his seat with his team despite the off-track problems that plagued him several times during the most successful parts of his career. He no longer races but his son Max Verstsappen is a very successful go-kart racer and his official webpage is filled with updates about Max rather than his dad. Adrian Sutil joined Formula One in 2006 as a third driver. 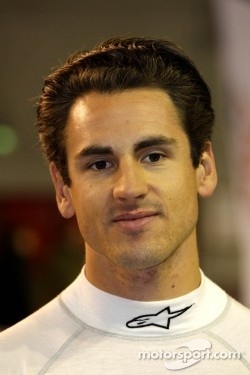 From 2006 to 2011, Sutil was very competitive and finished with points in a few races despite poor qualifying positions. He was widely admired for his skills driving for Force India. Sutil started out because he had connections with one of the team owners and was given the third seat. By the next season he bounced between second and third seat for different races on the circuit. In May 2011, Sutil was in Shanghai for the Chinese Grand Prix. He decided on the 16th to go to a local nightclub where one of his companions was Eric Lux, the CEO of Genii Capital. During the evening, Lux accused Sutil of physical assault and grievous bodily harm. Sutil allegedly broke a champagne glass and used one of the broken chards to cut Lux on the neck. Sutil apologized for the incident and said it was an accident. His Force India boss backed him up and decided not to suspend or punish him until a further investigation was conducted. That investigation did take place when Lux pressed charges. German prosecutors were put in charge of the investigation. On January 13, 2012 it was decided he would have to stand trial for the incident. He was convicted later the same month and given a suspended 18 month sentence. He was also given fine of 200,000 Euros which was to be donated to charity.